As a graphic designer I use a lot of paper, but is this medium not harmful for our environment? and what would be the sustainable alternative then? 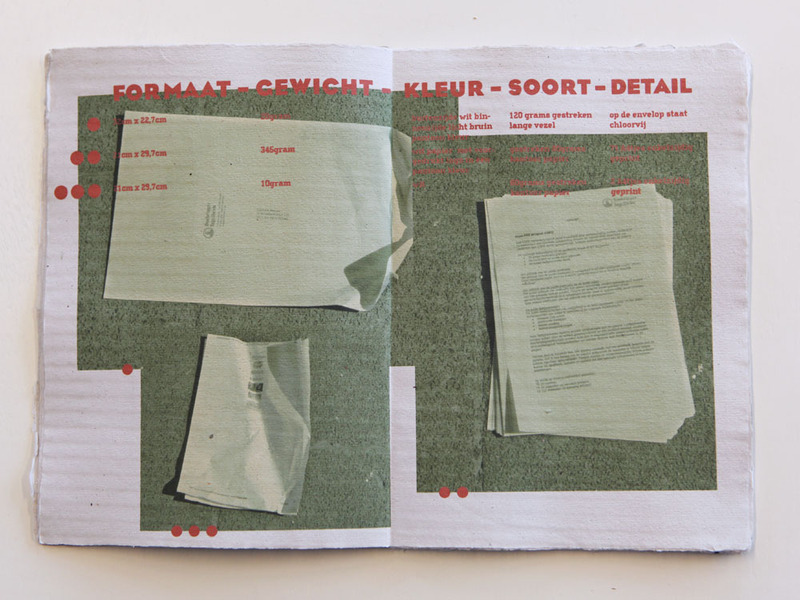 I did some research on these topics during my final graduation work for the Royal Academy of Fine Art’s in The Hague. I visited two paper factories, I went to a Cradle 2 Cradle congress and I made my own paper. 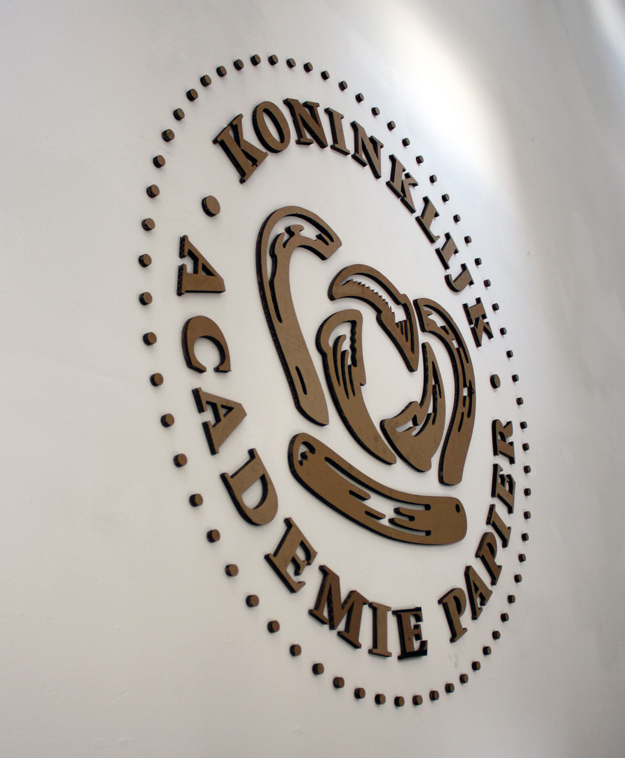 The main conclusion of my research was that an accusation against the paper industry wasn’t necessary. It is our behavior that had to be questioned. My final work was to recycle all the paper our Academy throws away. I did this in several little projects. Amongst them where a new sketch book, a note booklet and a business card made from the old academy paper. 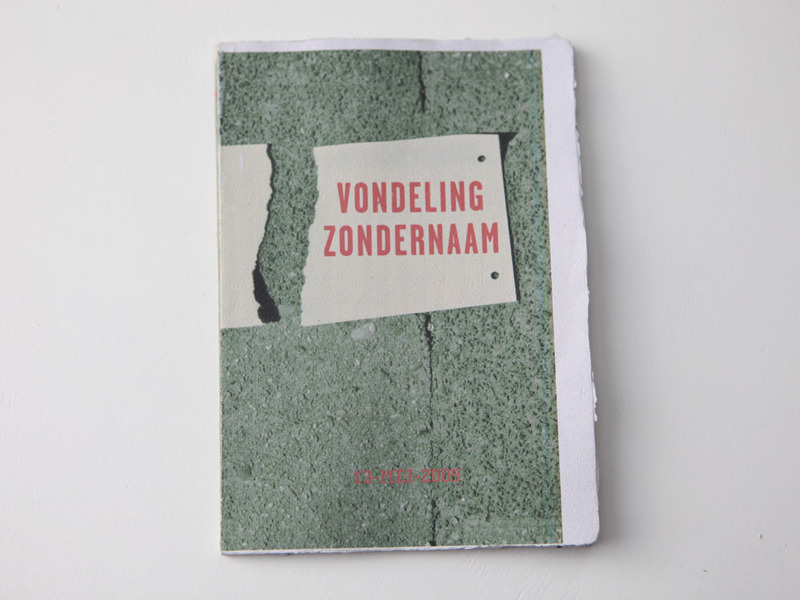 A little side project called ‘vondeling zondernaam’ (foundling without a name) is a booklet showing the content of a carton wine box that I had found on the street. The box from the brand ‘Zondernaam’ was filled with all sorts of paper. 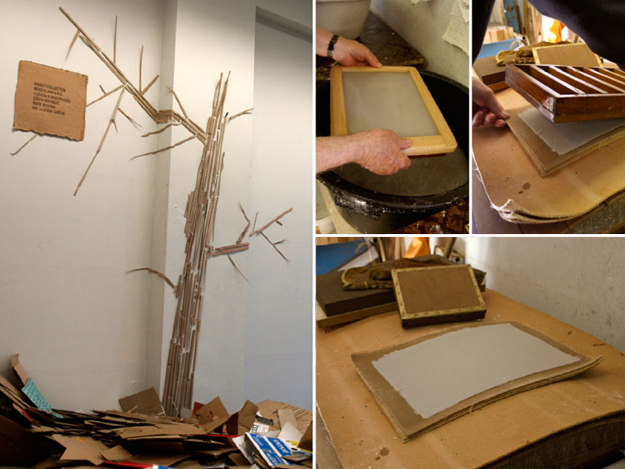 The pieces that where still useful to recycle where the ingredients to make the new paper for the booklet. 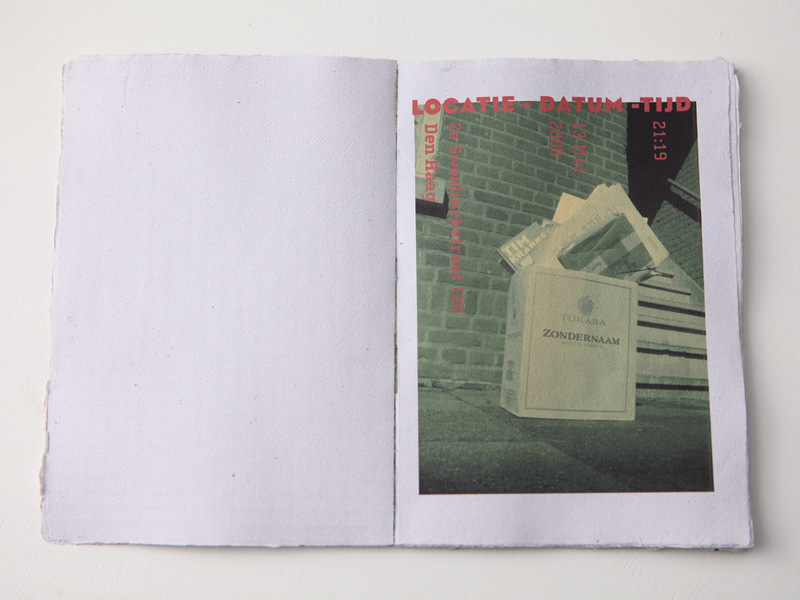 So the content shown in the booklet was blended into the paper of the booklet.